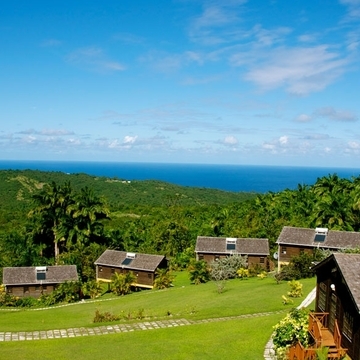 On the quiet East coast, in the unspoilt hills a couple of miles above the famous Bathsheba surfing beach, the Lush Life eco-retreat space is set in 22 acres of virgin Barbadian forest overlooking the Atlantic ocean. 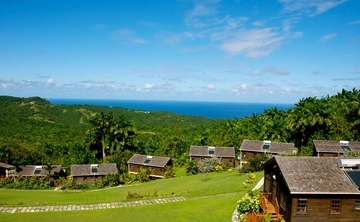 Far from the often crowded hotels and more touristy parts of Barbados, this secluded tranquil spot has tropical flower gardens, pool, restaurant, veranda practice spaces and beautifully crafted luxury wooden eco-cottages with their own kitchens, lounges, verandas and adorned with Caribbean artwork and furnishings. There are 6 one bedroom cottages and 5 two bedroom ones.